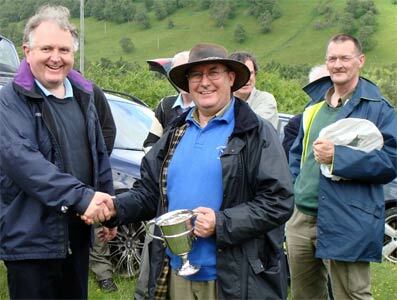 Following West Atholl's success in the Finlux, a West Atholl team shot for Tayside in the Pentagonal Match on 1st July. Each team co-opted pupils from Dollar Academy, who all shot well despite a succession of heavy downpours. 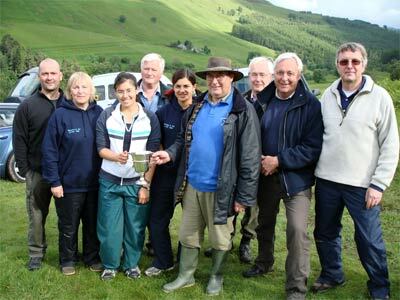 The winning team, L to R, Grant Taylor, Julia Adamson, Alanna Lean, Keith Baxby, Tarni Durhe, Jim Bell (Captain), Ian Conacher, Peter Burbridge and Richard Scott.